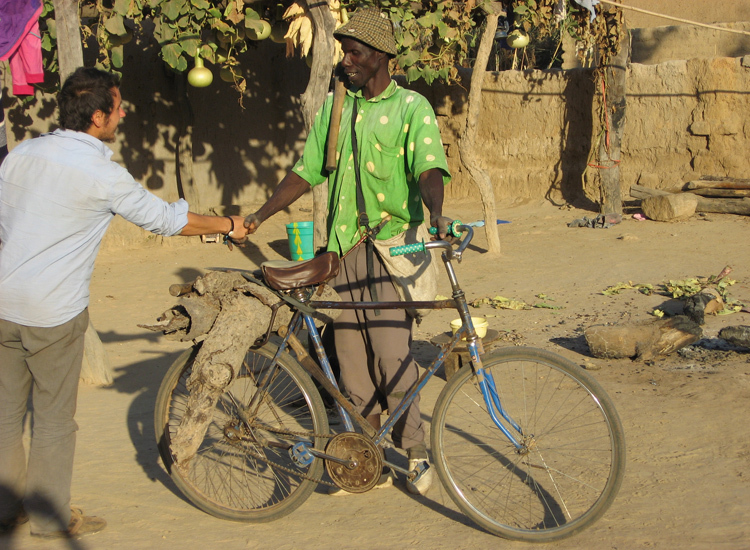 If you are going South on an international cooperation internship, Cyclo Nord-Sud can provide you with a used bike for your use. 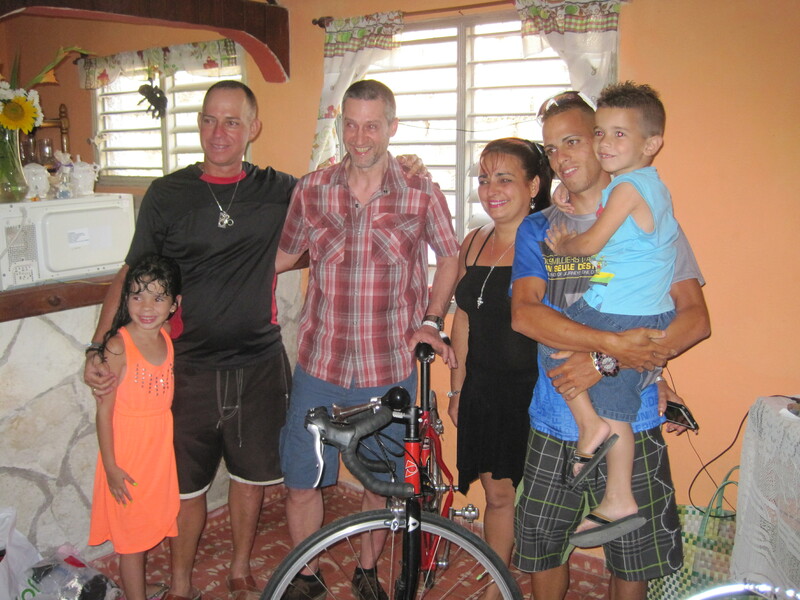 At the end of your stay, you leave the bike with a local resident – a highly appreciated gift! 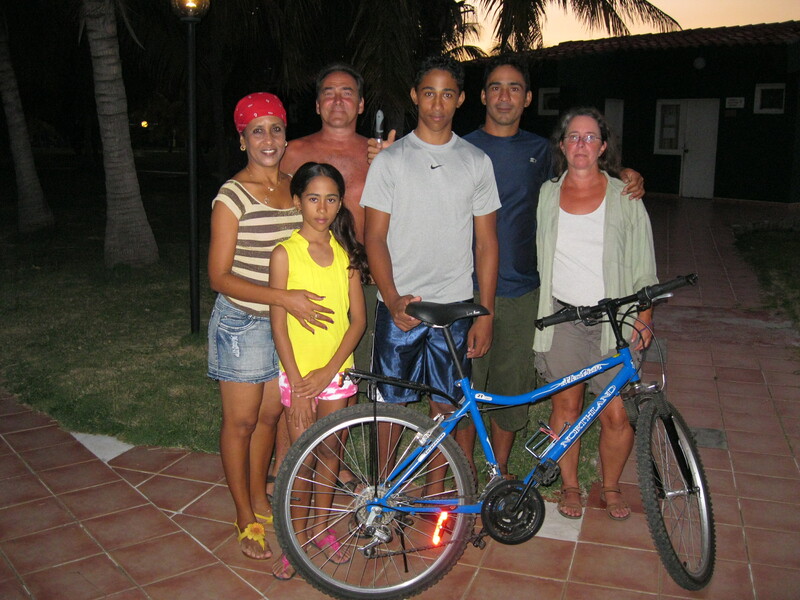 Travelers not associated with a solidarity group can also participate in the bike travel program. – Provide a $30 deposit. 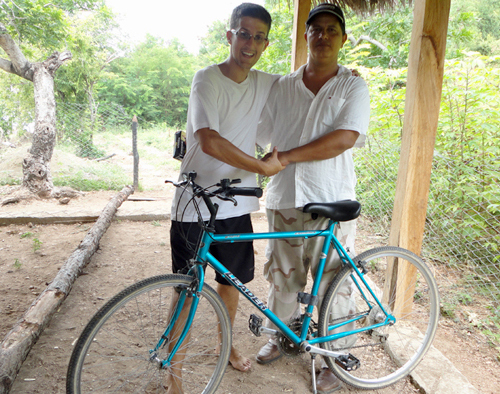 We provide a used bike, reconditioned by our team to be safe and functional. It is not a cycle touring bike. Cyclo Nord-Sud is not responsible for incidents during your trip. Helmet, lights and lock are not provided. 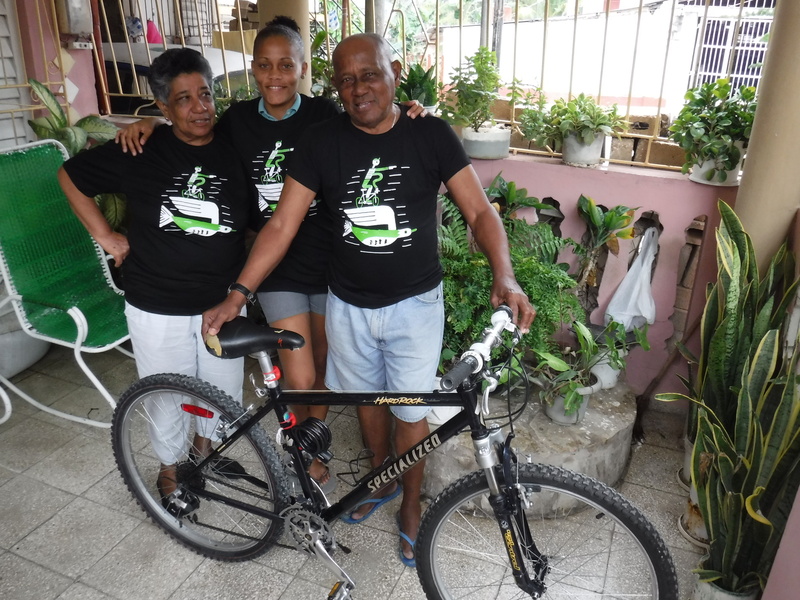 « I am very grateful for the bike, an efficient non-polluting means of transportation and most importantly, for making a Cuban happy. 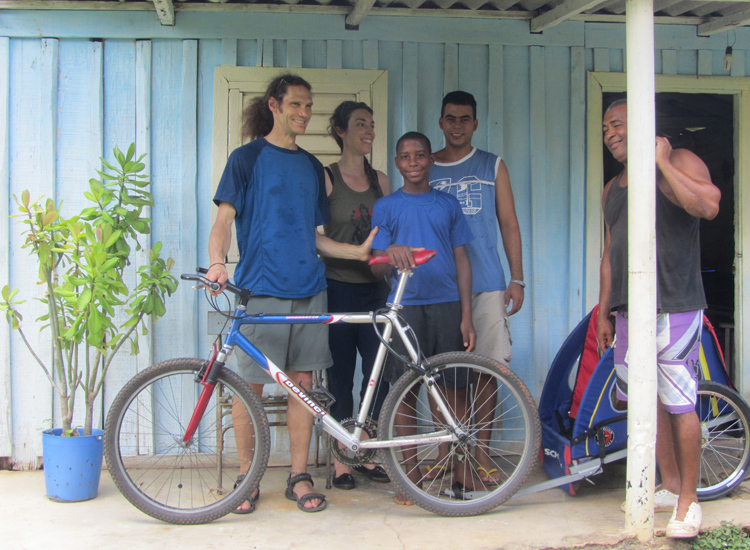 Our cook Joaquim had this big smile which moved us all at the bike donation ceremony. 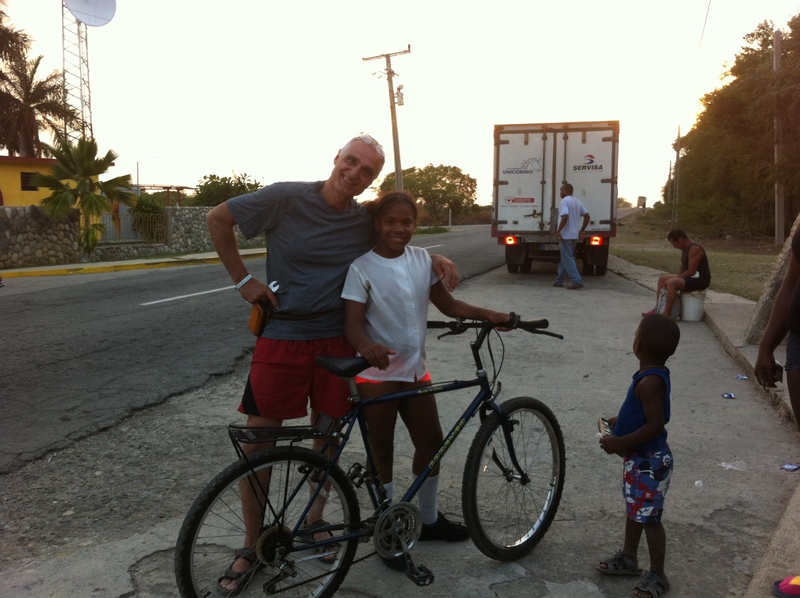 He was a close friend from the beginning of my stay and he had no idea he would inherit my bike.